Been breaking my head over a presentation and eventually once it got done and dusted, decided to head out for a break. 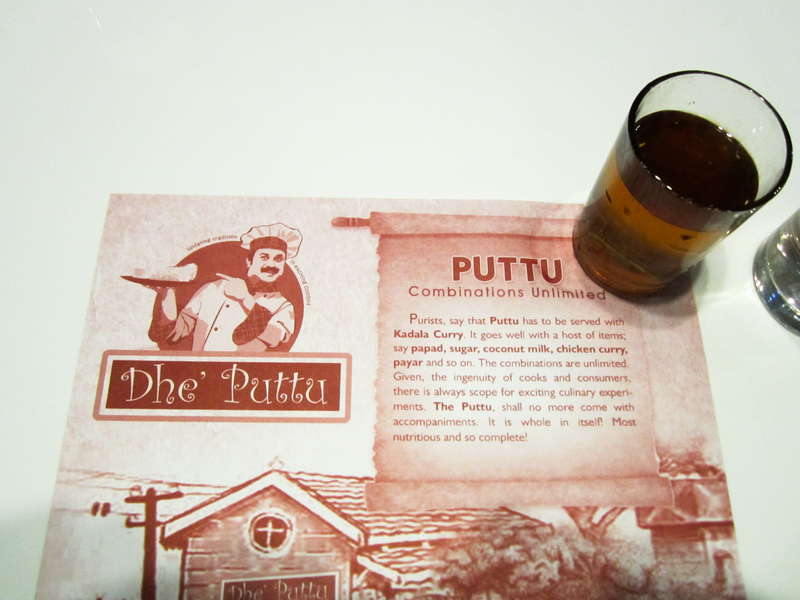 Since no movie timings were conducive, me and my friend decided to check out Dileep’s Puttu house. Being pretty close to our college, we headed to the hotel only to be held at the door and be ‘listed’ for a table. No. 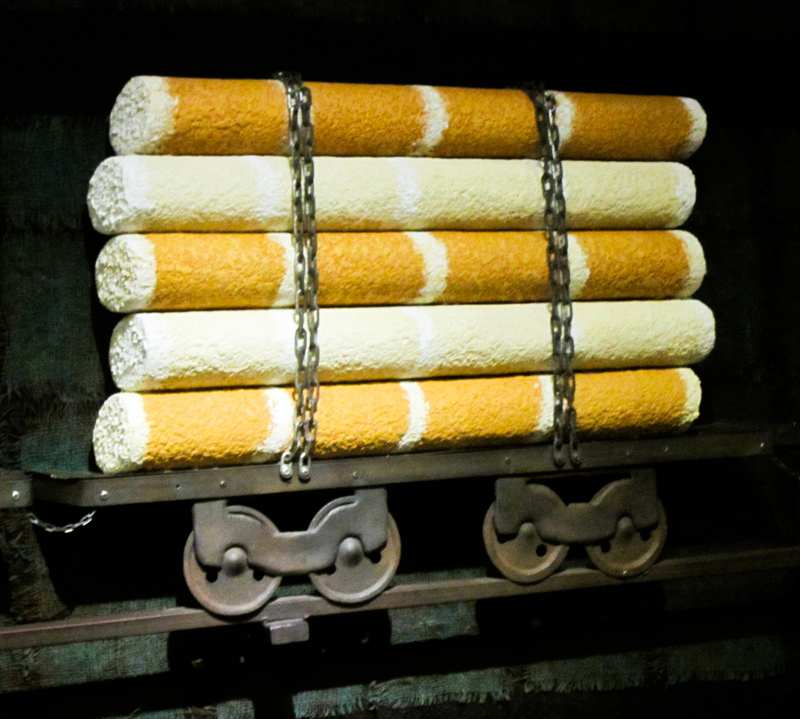 77. After a 5 min wait, a table got free and we were shown in. The dark dim lit walls with the ‘puttu on wheels’ are the highlight of the interior design. 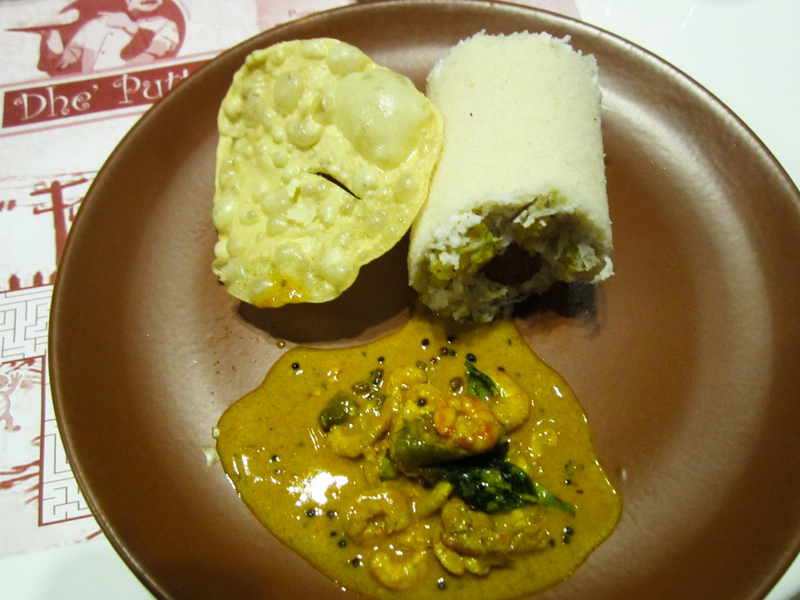 The menu is studded with a series of puttu – erachi, roasted banana, cashew and dates, pinapple, marble etc etc.. I ordered a roasted banana puttu to start with. Ordered chemmeen curry to accompany it with the papadam. It took them a total of 5 min to serve a puttu in total. 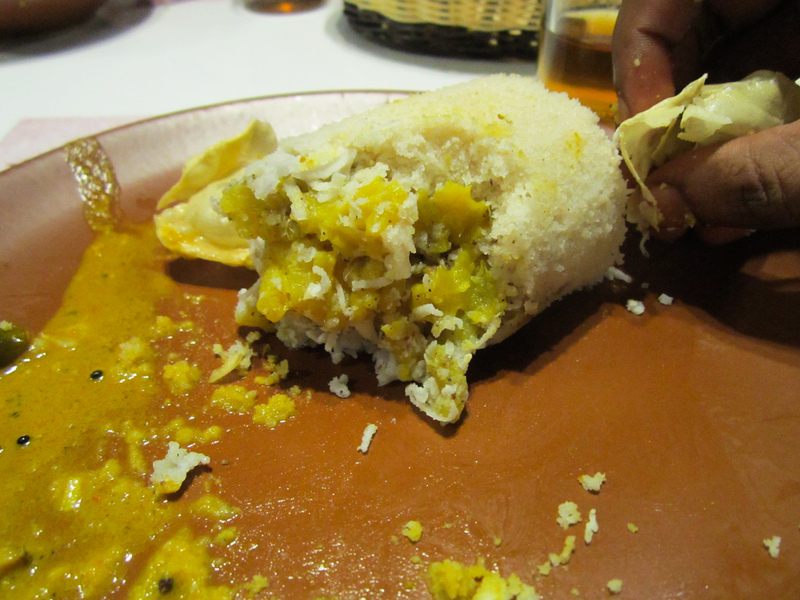 The steamy hot puttu almost blisters your finger as you settle it on to your plate. 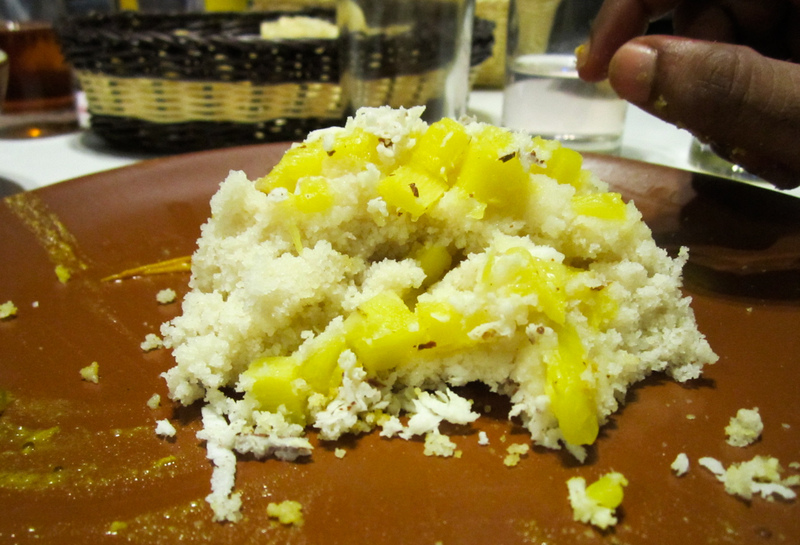 The puttu is so soft that it almost melts through. 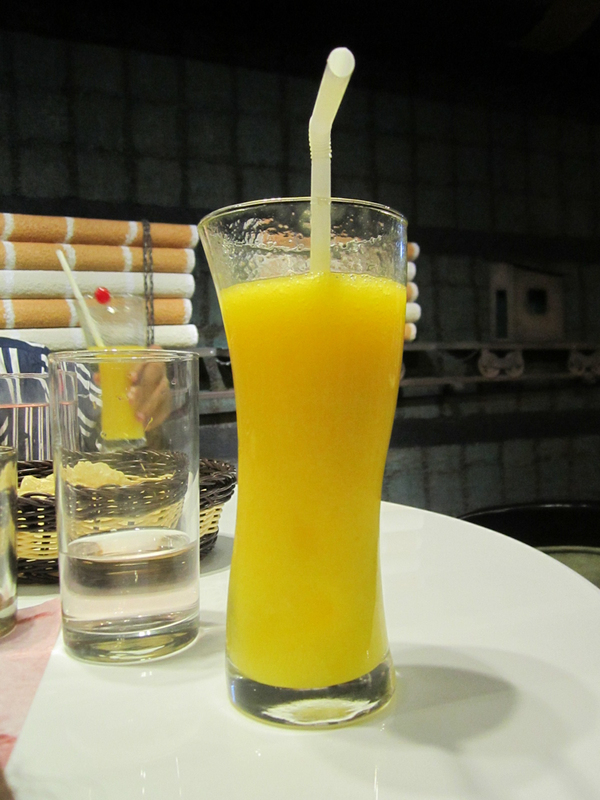 Ordered a mango juice to go with it. Overall took just half an hour in total for a good dinner. Probably a bit pricey but nevertheless the ambience is indeed worth savoring. Previous Post Previous post:Monsoon continues..
🙂 Try the link I have sent to you on facebook. That should help you reach them for a reservation!